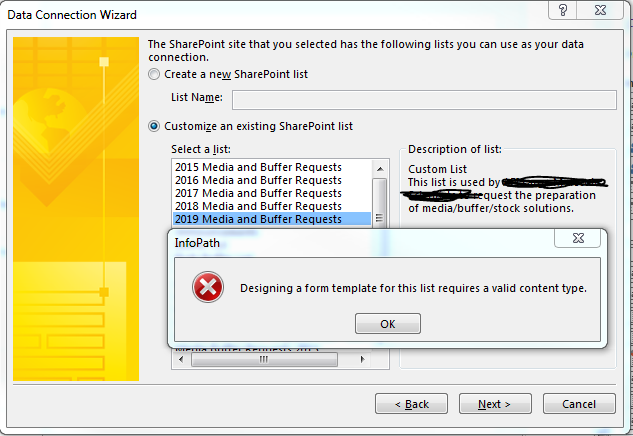 I created a Sharepoint Online list that uses a content type list item that I customized by adding fields to. When I try to open the list in Infopath Designer to design a form template, I receive an error message stating "Designing a form template for this list requires a valid content type." If I try to open up a list created without this new fields, I can create a form template without any error message. Could someone help me understand what makes a content type invalid? Thanks!